Hey there Hawks! Today we got down and poetic today with some of the greatest Folk Music in the second half of the twentieth century. A lot like you and me, Simon and Garfunkel started off as two regular guys who wanted to get into a good college, and have fun! At age 15, they released the single Hey, Schoolgirl. Amazingly it reached the top 50 in the charts of that year. For the next 7 years, that was it for the duo, that styled itself Tom and Jerry. Then, in 1964, they released their first LP, Wednesday Morning 3am. Again, there was no immense success. As a result, Art Garfunkel went to grad school, and Paul Simon moved to England. It was 1965, when it finally happened for Simon and Garfunkel! When a radio station started playing a song off their album, Columbia records remixed it, and released it as a single. The Sound of Silence became immensely popular, and sold two million copies, the record for that year. This prompted the next reunion of the pair! Named after that single, this new album contained several hits. It also started to build a solid fanbase around S and G. These fans were often young and politically leaned to the left. They represented a mixture of harsh reality and hip. 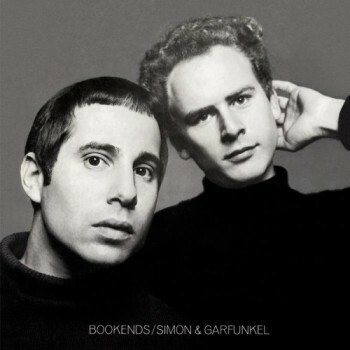 Rolling on this new wave of success, Simon and Garfunkel started to release several originals, but also critically assess the work of fellow artists and inspirations. A reduction of Bob Dylan’s style can be heard in the song A simple desultory phillippic. After several more albums (Parsley Sage Rosemary and Thyme, Bookends, Bridge over Troubled Water) the group split up. The most commonly named cause is Paul Simon’s ability to support himself musically without Garfunkel. However, the two did receive lifetime Grammy achievement wards, truly deserved for their contribution to folk rock. If you want to listen to this week’s songs again, a playlist can be found here! Thanks for listening to this week’s episode, I’ll see you next week, Monday at 3! !